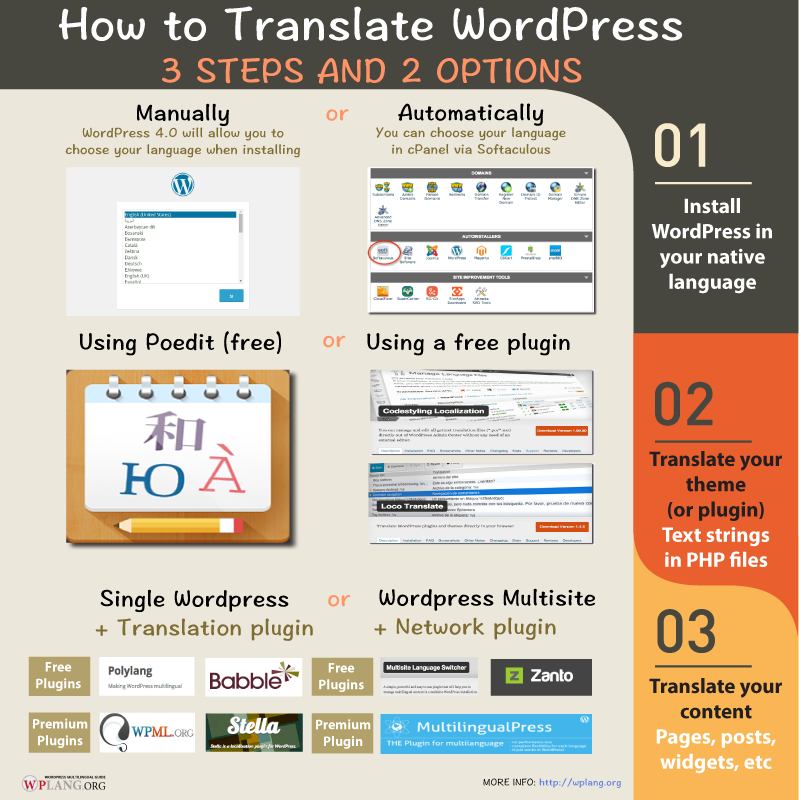 A fully translated WordPress website requires 3 steps: 1. Install WordPress in your native language; 2. Translate your theme (or plugins); 3. Translate your content (pages, posts, widgets, sliders, contact forms, etc. ): using a single WordPress installation or WordPress Multisite. Stella ($ 14,99). This plugin has free version.